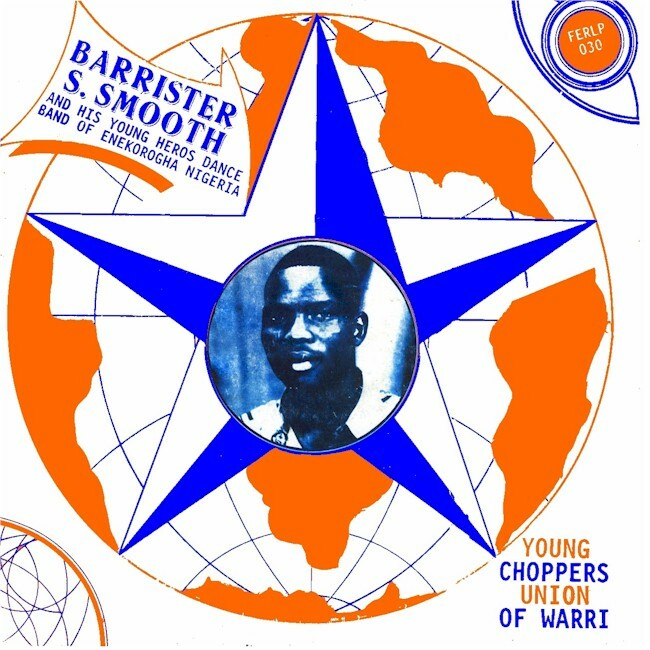 Gospel Highlife from "New Calabar"
As you may have noticed, I've been writing quite a bit lately about the music of Nigeria's "Eastern Minorities." By this I mean the non-Igbo ethnic groups that comprised about 40% of the population of the old Eastern Region of Nigeria that existed from 1954 until 1967. In 1967 the East attempted to separate and form the independent Republic of Biafra. For the most part the minorities - the Ijaws, Ogonis, Efiks, Ibibios and so forth - supported the Federal Government in that conflict, and since they occupied the coastal areas this was a decisive factor in the defeat of the Biafran cause in 1970. 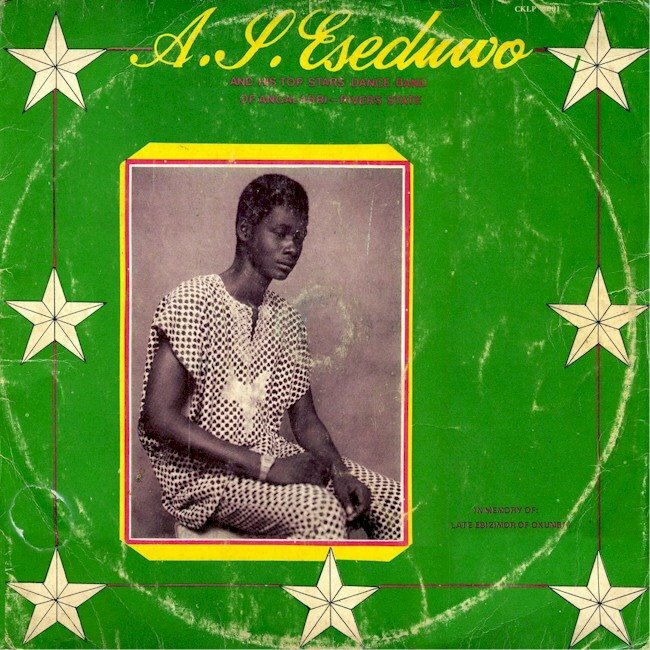 One of the biggest names of classic Nigerian highlife, Erekosima Rex Lawson, was the son of an Igbo mother and an Ijaw father from Buguma, in the "New Calabar" region of present-day Rivers State, and thus is claimed as a native son by both groups. New Calabar is said to have been settled by Efiks from Calabar in present-day Cross River State, but its language, Kalabari, is in fact a dialect of Ijaw. 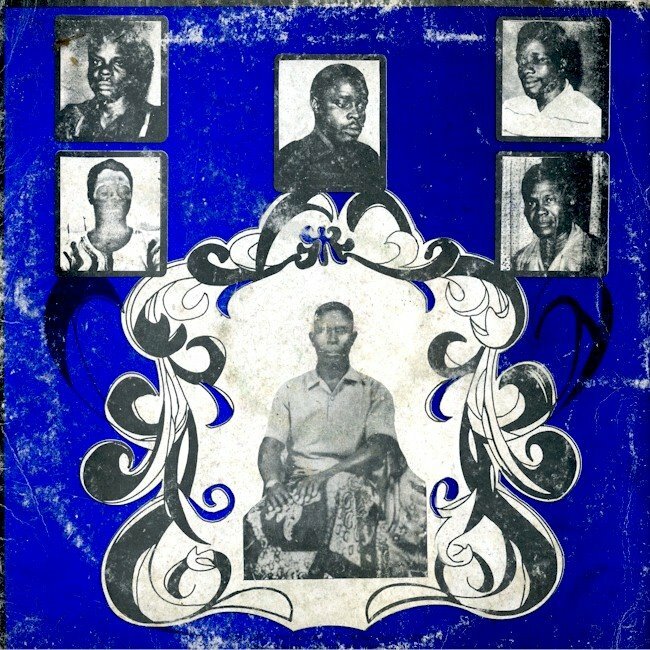 Lawson sang in this language and Igbo, as well as other tongues of Nigeria, making him beloved across the country. 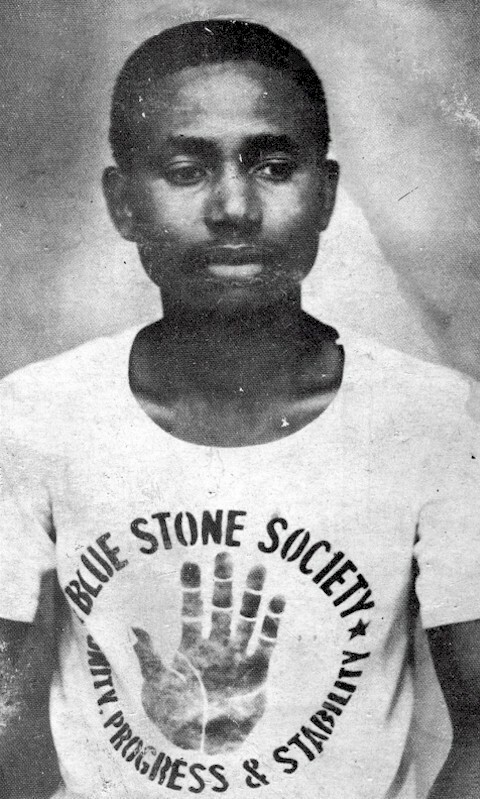 Buguma produced another highlife musician, Emperor Erasmus Jenewari. A retiring and urbane man, Jenewari's career was somewhat overshadowed by that of the great Lawson. 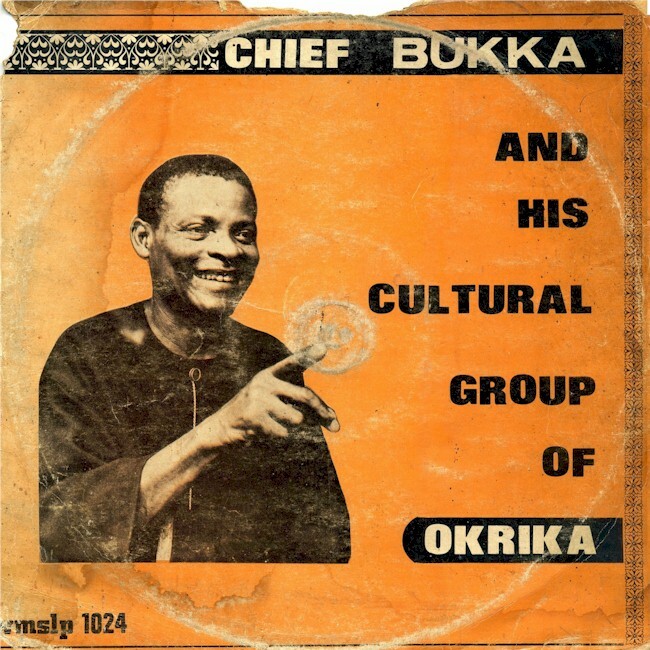 In the years before the Biafra war he was based in Onitsha, where he recorded numerous hits like "Abari Nyanawa," "Oteke," "Opa Iweriso," and the evergreen "Odenigbo." Following the war Jenewari seems to have forsaken secular music altogether, and devoted himself strictly to Christian devotional music with his group the Gospel Bells (shown at the top of this post; Jenewari is in the middle of the bottom row). Here are tunes from two of his gospel albums, Tamuno Belema (Philips 6361 168, 1976) and Joy Hallelujah (Polydor POLP 081, 1982). Listening to these lovely songs takes me back to eastern Nigeria, where the sound of gospel music is omnipresent. I understand that Erasmus Jenewari passed on a number of years ago without much fanfare even in Rivers State, a sad commentary. Many thanks to Eji I. Nwuke, who provided me with much of the information used in this post. Note: This post was updated on December 30, 2008 and January 19, 2009. 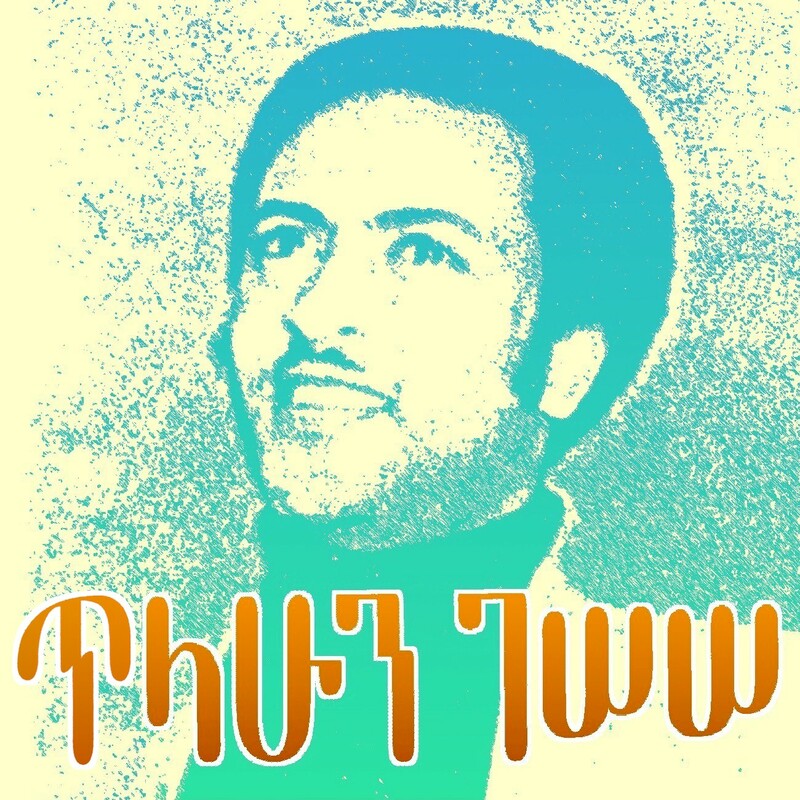 Get ready for another blast of raw, uncompromising Ethiopian funk, courtesy of our friend Tilahun Gessesse. Etu Gela, issued in the early '80s by Ambassel Music Shop, finds the master in great form. The Ethiopian Army's First Division Band accompany him, and they really wail! 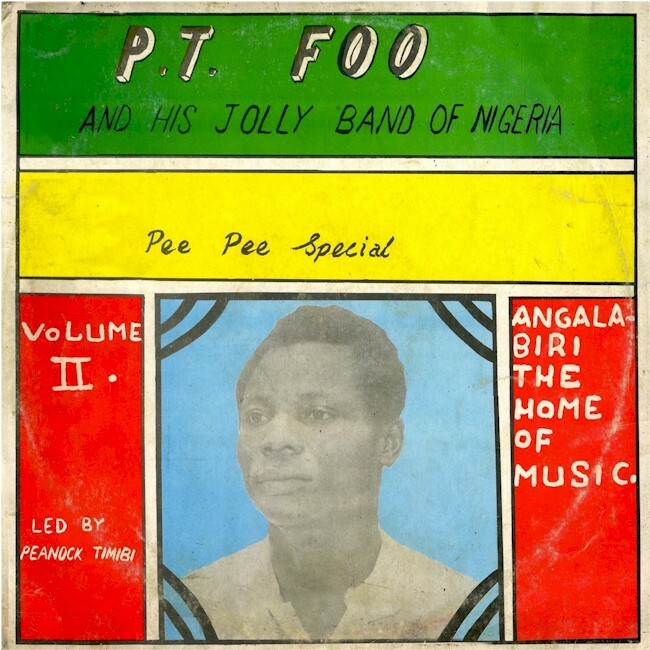 Duplicated under the difficult conditions of Derg-era Ethiopia, the sound quality of Etu Gela is not up to contemporary standards. While I was able to remove a considerable amount of audio debris with sound restoration software, I couldn't do anything about a few irritating passages of static during track 5, "Yager Lij Neyilign." Just consider it part of your authentic Ethiopian listening experience! Many thanks to the anonymous reader/listener who corrected my transliteration of the titles and provided translations and commentary. It's obvious that somebody copied someone else. The Minzoto LP is not dated, but I suspect that it was issued sometime before the de Coque record. Oliver no doubt, then, lifted the melody and distinctive guitar work from the Minzoto record and not the other way around. But who cares? They're both great records! Speaking of lifting, I purloined the image at the top of this post from the BBC's site. 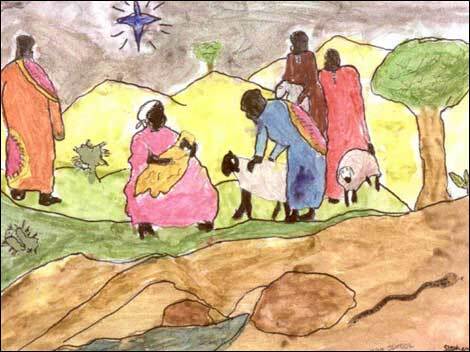 It is from a series of Christmas cards drawn by students at Swanland School in Nairobi. Follow the link and consider buying a set of the cards. Proceeds go toward rebuilding the school. 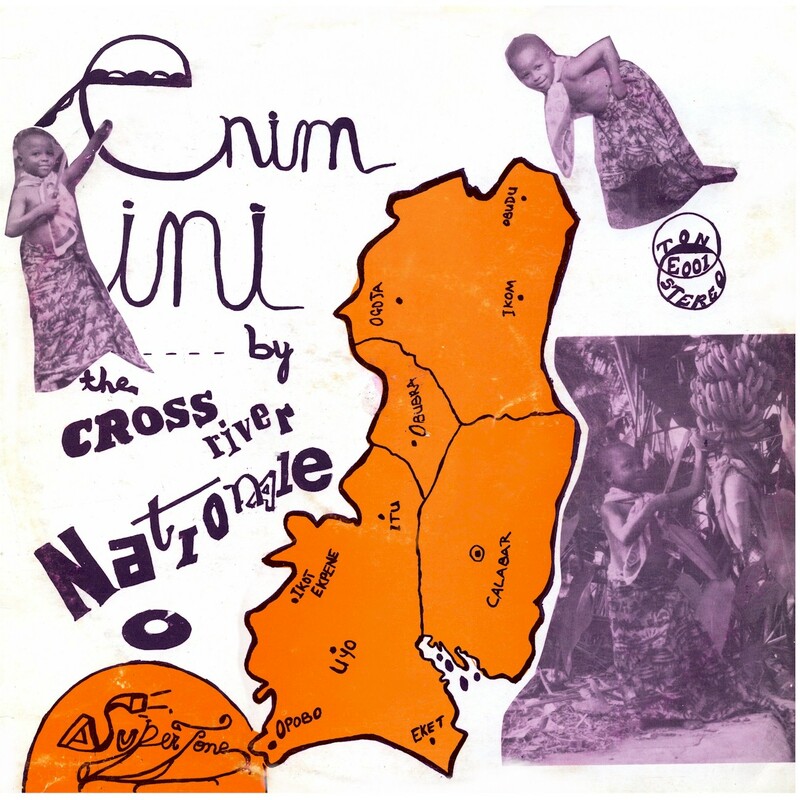 People seemed to enjoy the Ibibio tunes I put up in a previous post, so I thought it would be fruitful to return to the area, namely the states of Cross River and Akwa Ibom in the southeastern corner of Nigeria. 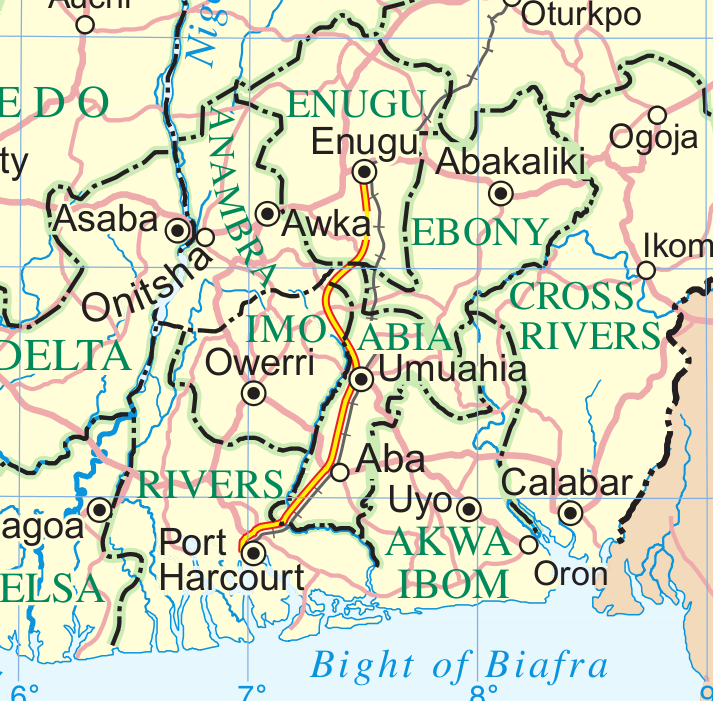 Up until 1987, when Akwa Ibom was carved out of Cross River, these two entities were one, and ethnically they share some afinities: The southern part of Cross River is majority Efik and the Ibibios predominate in Akwa Ibom. I get the impression that Efik and Ibibio are mutually intelligible, basically dialects of the same language. As I wrote earlier, I'm not very familiar with the music of this area. Cross River did produce one native son who achieved fame across Nigeria, Inyang Henshaw, who contributed two songs to the CD Rusted Highlife Vol. 1, which I posted here. Parenthetically, the state can be said to have produced one "native daughter" who is even more famous: Welsh singer Shirley Bassey, whose father was from Calabar. He, however, abandoned her when she was two, and she has had no contact with his land of birth. 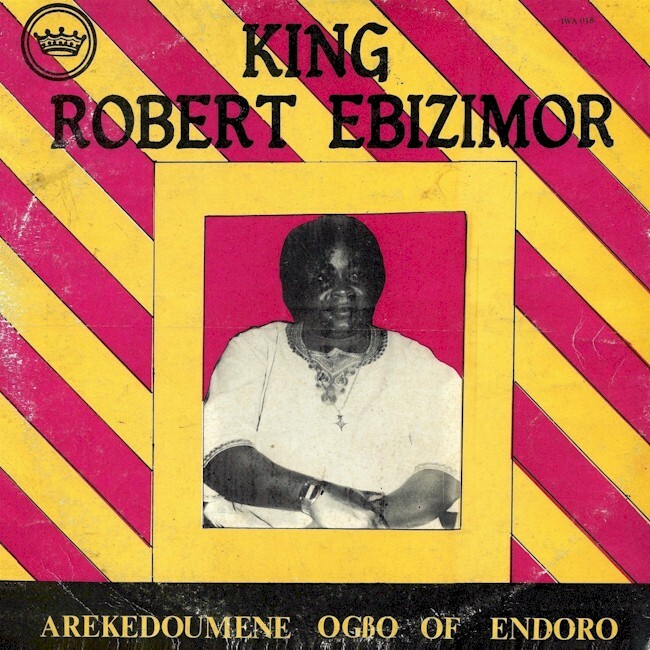 Anyway, I have gone through my slim collection of Efik and Ibibio recordings, and have come up with some pretty enjoyable tunes for your listening pleasure, the most surprising of which are two tracks from the album Idim Mmↄŋ Uwem (God's Will Records GWR 002, 1985), which you can see at the top of this post. 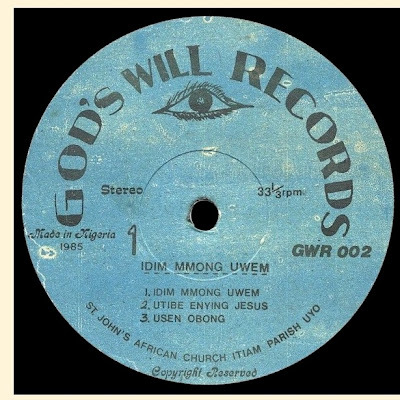 I say surprising because the recording, by the St. John's African Church Choir in Uyo, Akwa Ibom, has sat neglected and unlistened to for at least twelve years in my collection. Some pretty big warps and scratches render most of it unplayable, but there were a couple of songs I was able to salvage. ". . . Don't know too much about them as a band, though. . . 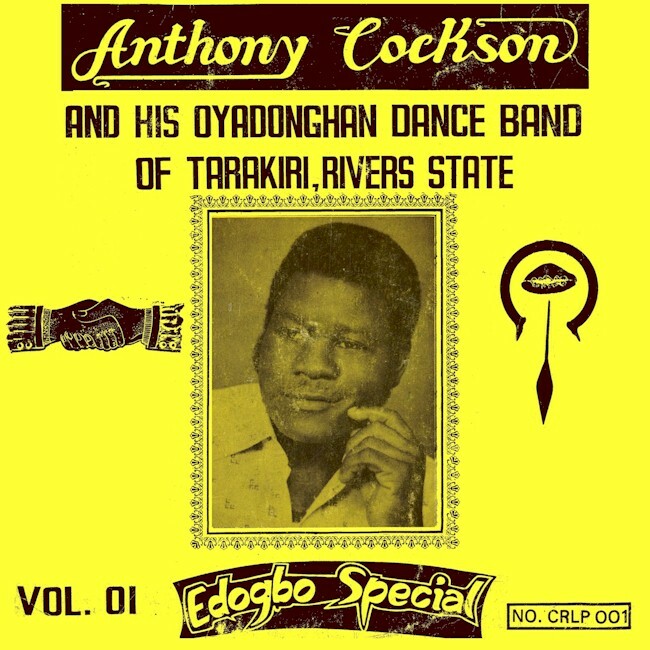 I believe the lead singer was Darlington Duke, whose name I used to hear a lot, and I've seen him either listed as a vocalist or thanked in the credits of a few other Cross River-originating records, so I guess he was something of a big man on the scene. 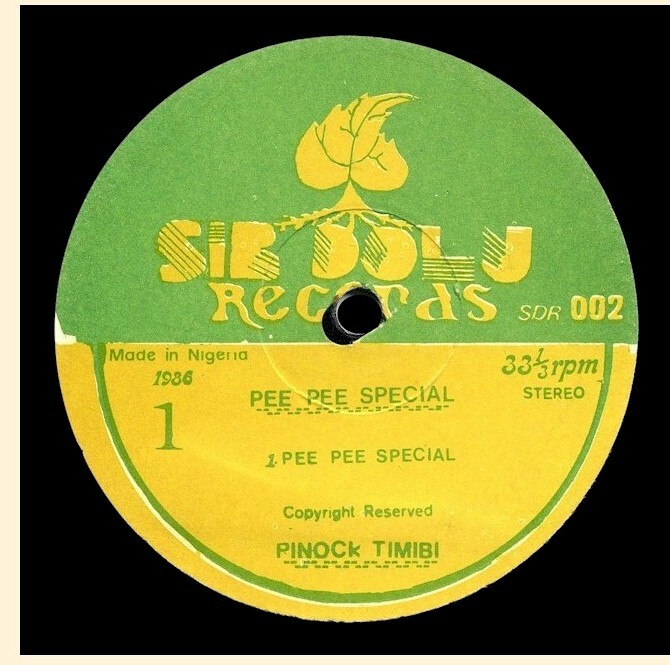 "[Enim Ini] was produced by Tony Essien, who went on to be a house producer at Haruna Ishola's Phonodisk Records, producing a good deal of their pop and highlife output. he was also associated, i believe, with the band Rocktown Express (though I don't know if he was actually a member)... I'm trying to figure out if he might have been associated with Wrinkars Experience too (that's just a hunch. . .)"
Pour a tall cold one, sit back and relax with this sweet track by Moges Habte, formerly of the Wallias Band in Ethiopia. 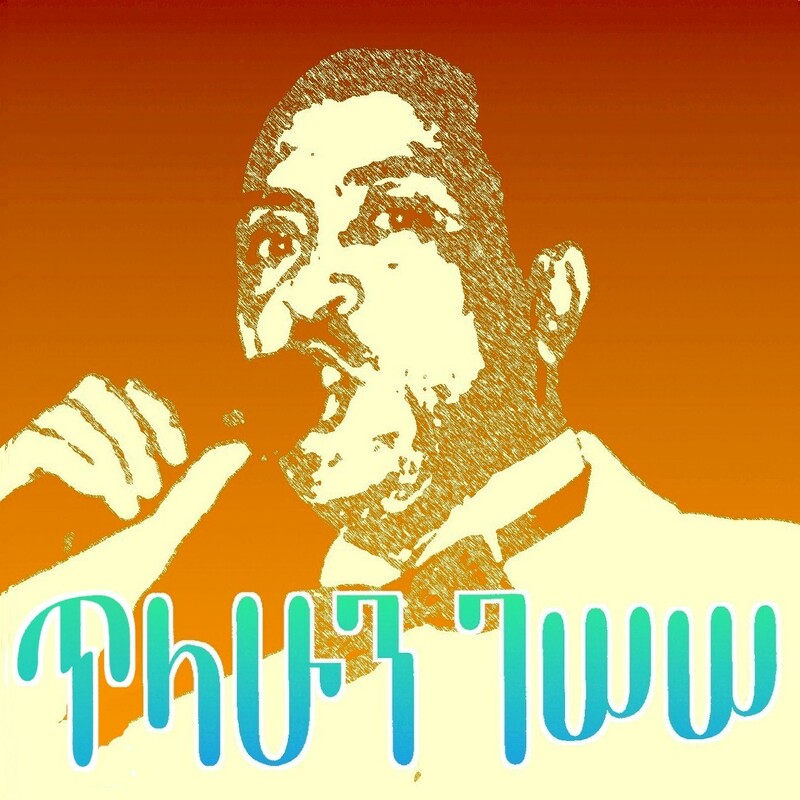 The tune is "Musicawe Silt" and it was recorded in 1994 with the Ethio-Jazz Group in Washington, DC. Don't know much about the musicians, but I suspect they're the crew that's recorded with so many Ethiopian musicians in the US. For one I recognize Abegasu Kibrework Shiota on keyboards. 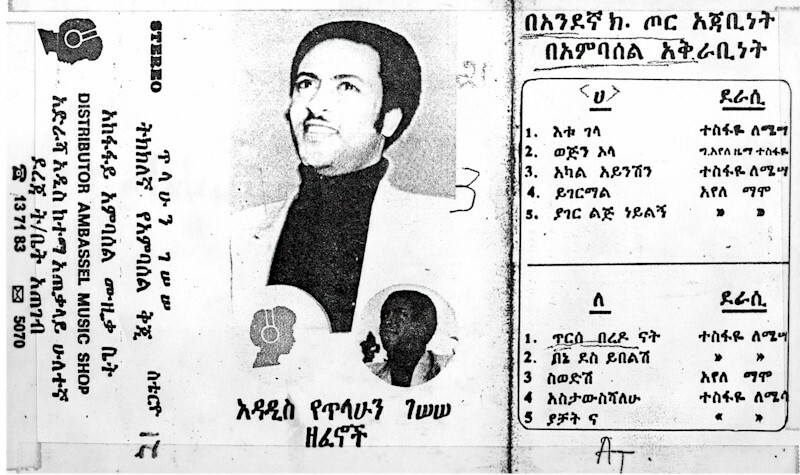 In an earlier post I wrote of the brilliant Ethiopian singer Tilahun Gessesse, posted a couple of songs from a recent CD, and promised I'd make available some of his earlier Ethiopian recordings. Back in the '80s I was loaned three of Gessesse's cassettes. I dubbed these onto 10" tape reels (that being the best means of preservation in that pre-digital era) and was unable to listen to them for twenty years, when I got hold of a reel-to-reel tape deck and was able to digitize two of them. The third has apparently been misplaced, and when I manage to track it down I will, of course, transfer it as well.